ACER works closely with the Analytical and Capacity Development Partnership, a facility to promote education policy and reform, established by the Government of Indonesia, the Government of Australia, the European Union and the Asian Development Bank. ACER, in partnership with Cambridge Education, provided program support to the Indonesian assessment centre, Puspendik, in the planning and development of a world-class assessment system in Indonesia. The Puspendik program was designed to improve the quality of student learning outcomes through enhancing the reliability, validity and efficiency of assessment systems at the national, school and classroom levels. ACER’s Study on Teacher Absenteeism has provided nationally representative, up-to-date information on the rates and determinants of teacher absenteeism in Indonesian primary and junior secondary schools. The study has informed, and contributed to the formulation and implementation of effective policies, strategies, financing and systems to ensure that teachers’ attendance in schools and classrooms is increased to acceptable levels to ensure the quality of student learning. Read more on the Study on Teacher Absenteeism. ACER has undertaken an evaluation of ICT in education in Papua province to inform national, provincial and local policies and curricular strategies aimed at improving the learning outcomes achieved by basic and secondary education students and adult learners in Papua; and to improve the quality of the teaching and learning using ICT across the curriculum. ACER’s evaluation of the of the Principal Preparation Program of the Indonesian Ministry of Education and Culture supports efforts to enhance education quality by improving school effectiveness through better school leadership. Read more on the evaluation of principal preparation. 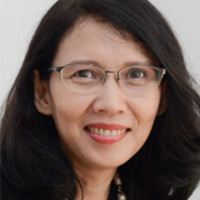 The purpose of this study is to contribute towards the development of evidence-based policy and strategy for the provision of affordable, sustainable, well-coordinated, high quality, and equitable early childhood care and education services, particularly for marginalised populations, in Indonesia. The purpose of this program is to develop the capacity of the Curriculum and Textbook Centre (Puskurbuk, Balitbang) for systemic and ongoing monitoring, review and evaluation of the curriculum design and implementation process, as well as its coordination with textbook design, student assessment, and the supply and professional development of teachers.